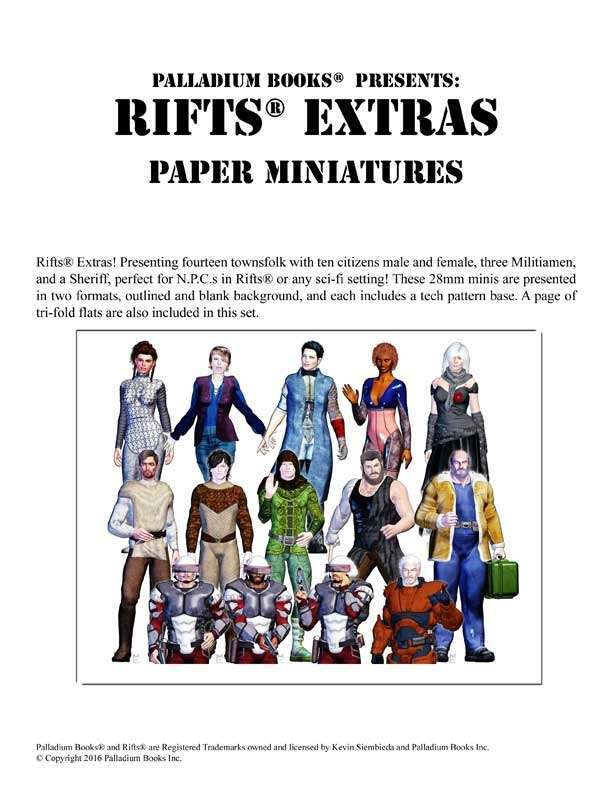 Rifts® Extras! Presenting fourteen townsfolk with ten citizens male and female, three Militiamen, and a Sheriff, perfect for N.P.C.s in Rifts® or any sci-fi setting! These 28mm minis are presented in two formats, outlined and blank background, and each includes a tech pattern base. A page of tri-fold flats are also included in this set. This title was added to our catalog on October 24, 2016.